“Datajournalism” is widely touted as a key skill for the journalist of the 21st century; presenters talk about it in glowing terms at events entitled “the future of journalism”. But is this just hype? It is almost 10 years since various national and local governments pledged to publish data about their activities. Since then trillions of bytes of government data have been published online. 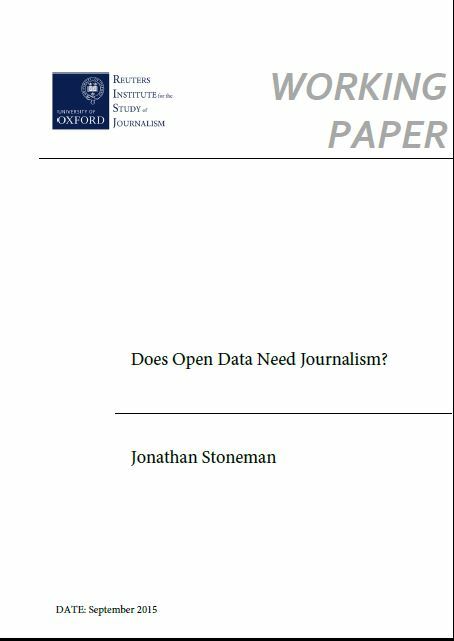 Open Data initiatives, often combined with Freedom of Information legislation, give today’s journalists unprecedented access to data which is unedited by spin doctors, or polished by statisticians, and potentially tells us more about how our world works. A decade on, we try to assess the true impact of data on the news agenda, and on journalism itself. What happens to Open Data? How does it fit into the wider use of data by journalists? What could journalists do to increase the impact of a movement which has the power to transform the way citizens interact with government?